In this Sept. 25, 2016 photo, a sign beside an industrial hemp field warns off trespassers at JD Farms in Eaton, New York. In the early- to mid-20th century, Wisconsin led the nation in industrial hemp production. The southern part of the state is especially well-suited for the crop, said author and Vermont hemp farmer Doug Fine. "Wisconsin is documented as ideal cultivating conditions for hemp," said Fine, who wrote a book on industrial hemp farming called "Hemp Bound." He was recently on Wisconsin’s Menominee reservation to discuss the prospect of reviving hemp farming. 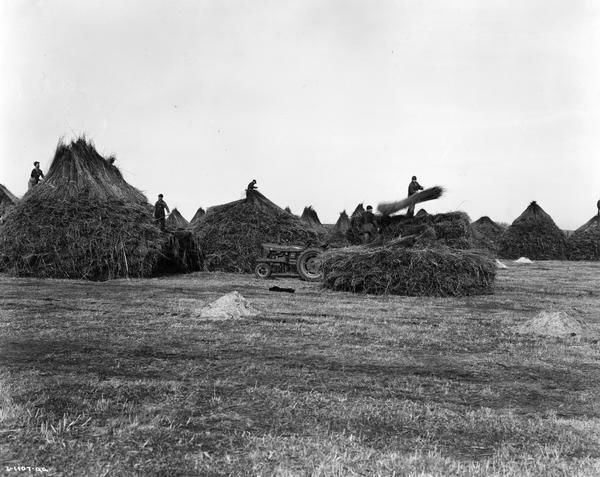 Fine said Wisconsin has a rich hemp history, and its farmers were encouraged to grow the crop during World War II. It was used mainly to make rope. Fine said the weed is a low impact, high return crop. "It can grow anywhere," Fine said. "The Canadians have shown it can grow in the coldest conditions." Wisconsin’s hemp industry died by 1958, when the state’s last processing plant closed. Hemp was included in the 1937 Marihuana Tax Act, even though it does not produce an intoxicating effect. 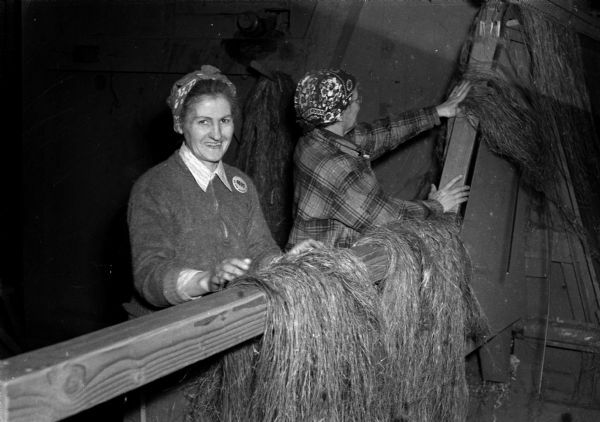 The industry had a reprieve during the war, but afterwards it was cheaper to import hemp than produce it domestically. America imports a lot of hemp from Canada since its production here is still banned in 19 states, including Wisconsin. That could change soon. Two state Assembly bills and one Senate bill would allow farmers to get an industrial hemp license. Industrial hemp is defined as having less than 0.3 percent tetrahydrocannabinol, commonly known as THC, the intoxicating element of marijuana. The two Assembly bills have one major difference. The first, Assembly Bill 183, requires farmers to get a license from the state Department of Agriculture, Trade and Consumer Protection and provide GPS coordinates of their hemp fields. It would allow "institutions of higher education" to grow plots for research. However that bill, introduced by Rep. Jesse Kremer, R-Kewauskum, would not allow Wisconsin’s two Tribal Colleges — run by the Lac Courte Oreilles Band of Lake Superior Ojibwe in Hayward, and the Menominee Nation in Keshena — to do research without first being state licensed. Kremer said Wisconsin has the chance to reclaim its hemp title. Right now, Kentucky is the nation’s largest hemp grower. Kremer said the state is missing out financially. "Right now we’re importing a half a billion dollars in industrial hemp a year into the country to use in high-tech products," Kremer said, noting it can be used in things from lotions to batteries to construction materials. "We’re importing it from Canada and other nations which is absurd. We should start growing here, in our backyard." Kremer added that if his bill passes, tribes would have to get a state license to grow hemp. "We require anyone who grows it to get a license from the Department of Agriculture in the state, and we're requiring the tribes to do the exact same thing," Kremer said. "So rather than certifying through their tribal colleges or their own tribal leadership, they also have to go through the state like anyone else." A competing bill, Assembly Bill 147, is similar, but it would allow Tribal Colleges to do research. The 2014 Federal Farm Bill allows for hemp production if states allow and license its production. The Menominee Tribe of Wisconsin grew an experimental plot of its own, even though the state hasn’t yet sanctioned the crop. In October 2015, the tribe was raided by the Drug Enforcement Agency. The crop was destroyed. Marcus Grignon, a tribal member who works with a nonprofit called the Hempstead Project, said he believes tribal colleges should have the same footing as other research schools. Though, he said he was not speaking on behalf of the tribe. "It hinders us because the whole ides of the indigenous way of thought or the indigenous way of thinking is not valid to them, so you have to go through another academic institution," Grignon said. "I’m a believer and advocate that the indigenous way of thinking is going to lead us into the 21st century," Grigon said. Grignon said he is optimistic an industrial hemp bill will pass, but he supports AB 147, introduced by Rep. David Considine, D-Portage. Senate Bill 119 is a companion bill to AB 183, the one that would bar tribal schools from doing research. It has Democratic and Republican co-sponsors. Menominee Tribal Chairman Gary Besaw said the tribe isn’t taking an official position on either of the Assembly bills. He said he expects any bill will be amended during the legislative process. "We would ask that we be treated no differently than anybody else," he said. "That (for) any allowances or economic opportunities we would be treated like anybody else in the state of Wisconsin." The Senate bill and AB 183 have the backing of the Wisconsin Farm Bureau. "During World War II, this area was the 'Mecca' for hemp production in the entire country," said Rob Richard, the WFB's senior director of government relations. Richard said hemp isn’t a "magical plant that’s going to save farming," but it is a good "rotational crop" that farmers can use to give their soil a rest from corn and soybeans. Not only that, he said it can be lucrative. "Hemp farmers up in Canada, some of them are getting prices of $500 to $600 per acre of net income off of hemp, whereas if you look at corn and soybean prices, our farmers are probably going to take a loss on those crops this year." No committee hearings on the bills have been scheduled yet.